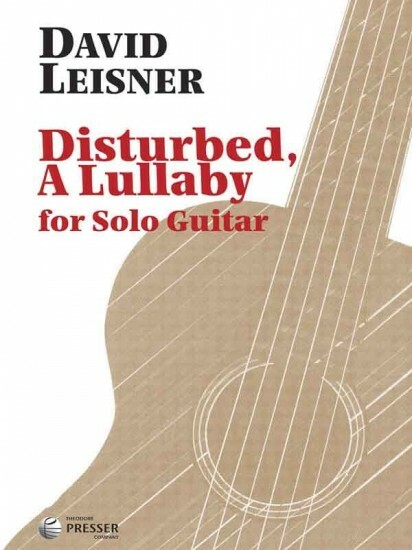 Published by Merion Music, Inc.
David Leisner describes Disturbed, a Lullaby as a lullaby interrupted, a disturbed state of mind that can never quite relax, or both. Either way, this is a lullaby for a troubled time. The work begins with a floating phrase that builds gradually into dense and unsettling counterpoint, eventually returning to the beginning theme, with a ghost of the lullaby in harmonics. Performance notes included.